Our Parylene N has been tested to and is certified to USP Class VI for implantable devices. Our Parylene Dimer is more than 99% pure and is MIL-I-46058C Certified and IPC-CC-830 Approved. Conformal coatings are generally applied in a liquid phase by spraying, dipping, or brushing. Parylene materials form linear, highly-crystalline polymers can be usefully produced only as coatings and films. The resulting film is thin and highly conformal, has no pinholes, can completely encapsulate a substrate to protect it from many conditions such as environmental attack, moisture, chemicals, fungus, dirt and dust. The applications for Parylene coatings are far-reaching and include military devices, automotive parts, circuit boards, elastomers, O-rings and medical implants. (Parylene is biocompatible and FDA approved). In addition, Parylene is electrically insulating, make it perfect for LED signage, which requires lightweight coating that will protect electrical components from the elements. The defect-free coating, once solidified, is as invisible to the eye and is up to 100 times thinner than a human hair. Parylene typically ranges in thickness from 0.25-1 mil. Removal for rework is very difficult, requiring abrasion techniques, and without access to vapor phase deposition equipment, recoating with parylene is impossible. Chemically inert. Parylene is chemically and biologically inert and stable, does not readily react with any other substance or chemical, and make excellent barrier materials. Non-toxic. Parylene is routinely used in medical and bio-medical applications. Clean, clear, and sterile. Parylene does not promote the growth of biologics. Its surface is unsuitable for the proliferation of bacteria and other pathogens. Exceptional electrical isolation. Parylene possesses exceptional electrical properties, notably its low dielectric constant and high dielectric strength. Superior protection. Parylene films provide superior protection against moisture, chemicals, salt water, corrosion, fumes, gases and widely varying environmental conditions as well as being Mil-l-46058C approved. Chemical resistance. Parylene resists attacks and is insoluble in all organic solvents and is resistant to and permeation by most solvents with the exception of aromatic hydrocarbons. Dry lubricity. Parylene acts as a dry film lubricant, eliminating the need for liquid release agents. Excellent uniformity. The Parylene process is a controlled Chemical Vapor Deposition (CVD), where the film is deposited one molecule at a time, and its thickness is completely and truly uniform to the surface. Pinhole-free coverage. Parylene provides strong, pinhole-free coverage for crevices, sharp edges, unusual shapes, and more. No curing cycle. Parylene does not have a liquid phase. Therefore, it has no cure time. The two most common types of Parylene used are Parylene N and Parylene C. Each has its own unique electrical and physical properties. Parylene N is a completely linear, highly crystalline material. Parylene N is a primary dielectric, exhibiting a very low dissipation factor, high dielectric strength, and a low dielectric constant invariant with frequency. It is able to penetrate crevices more effectively than Parylene C because of the higher level of molecular activity that occurs during the deposition. Parylene C is produced from the same raw material (dimer) as Parylene N, modified only by the substitution of a chlorine atom for one of the aromatic hydrogens. Parylene C deposits on substrates at a faster rate than Parylene N and is an excellent barrier with a useful combination of electrical and physical properties, plus a very low permeability to moisture and corrosive gases. 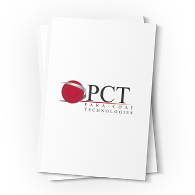 PCT Parylene Coating Products: Parylene N, Parylene C.